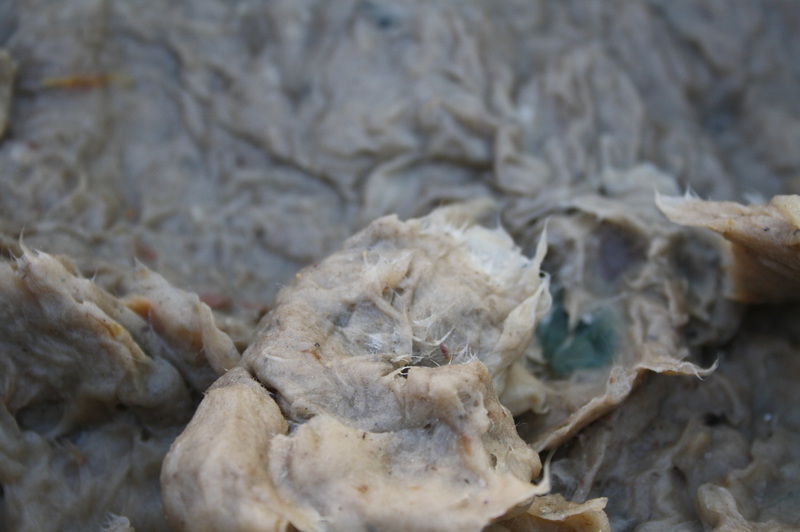 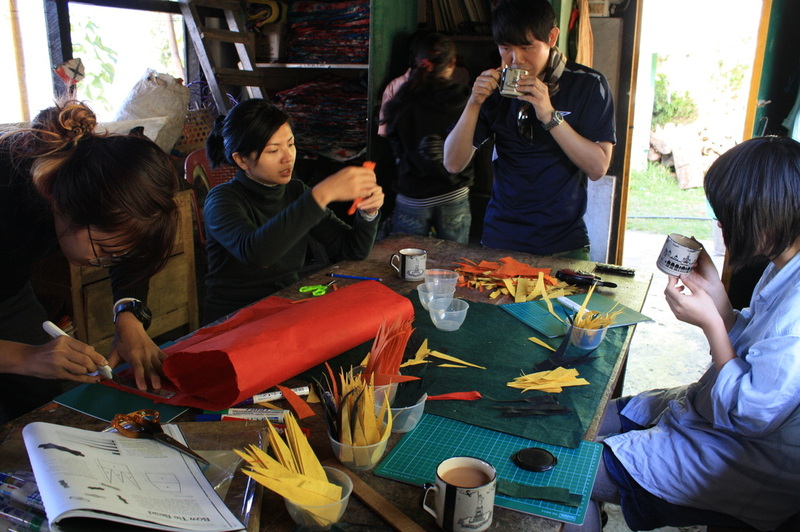 The Borong Polok Paper Making Unit (PMU) team of 2010 consists of 5 ladies- a lecturer, an alumnus and 3 students from LASALLE College of the Arts, as well as an engineer affiliated to National Technical University. 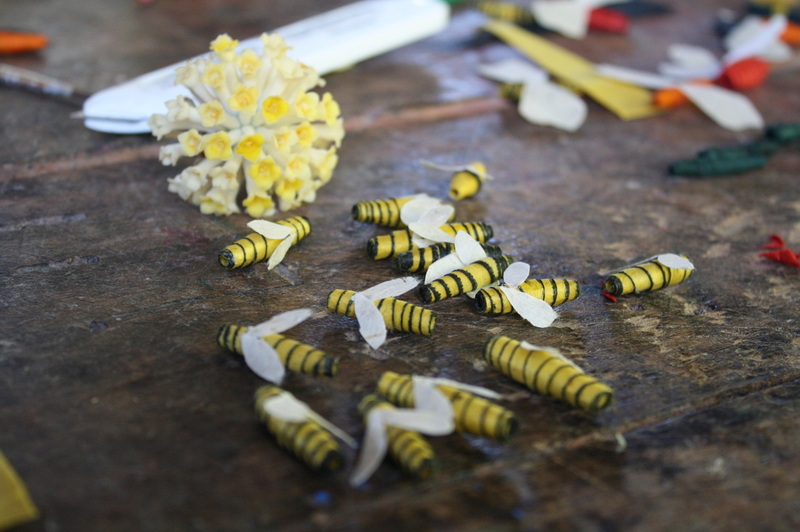 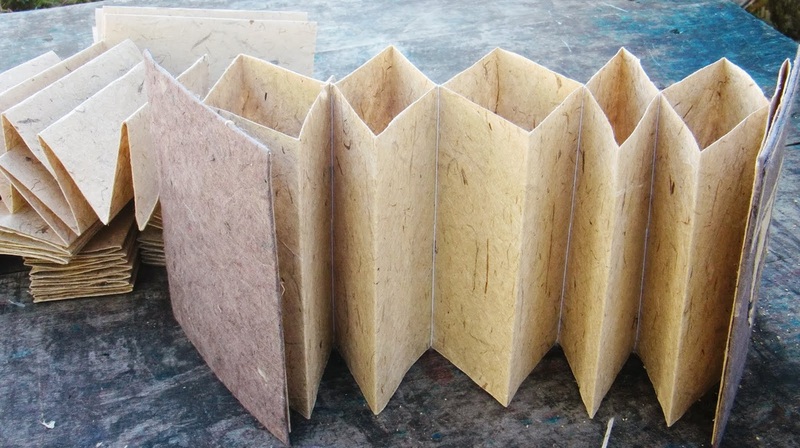 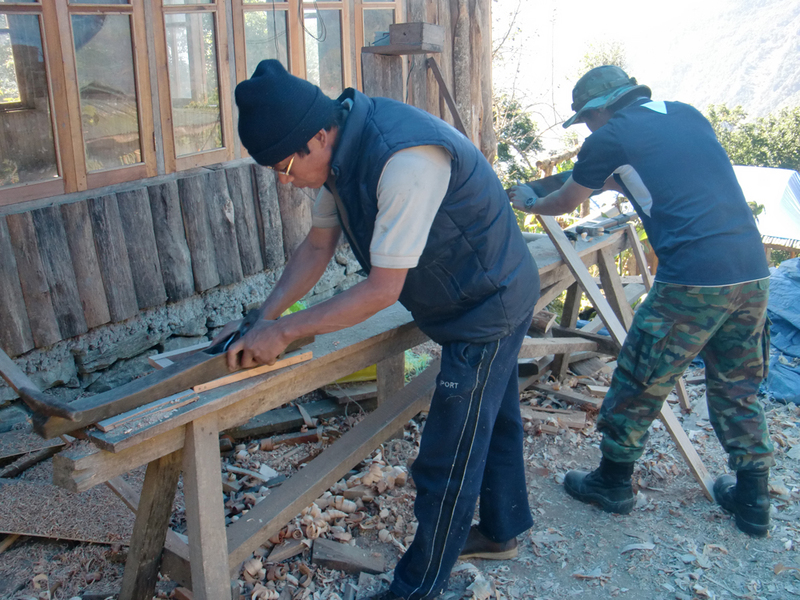 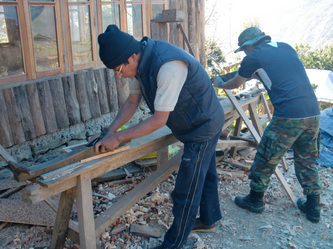 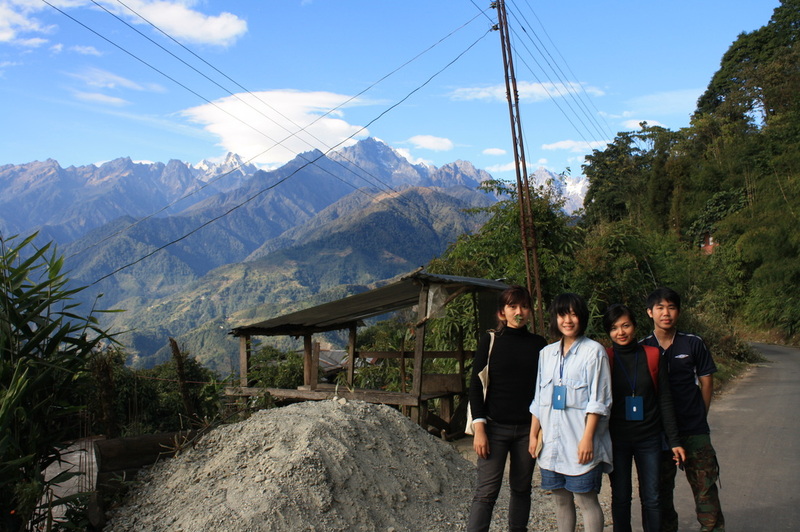 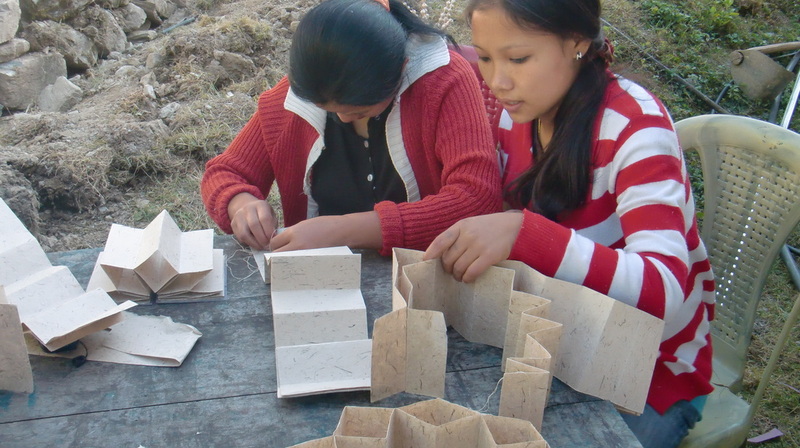 Together, members of this cosy team had planned and participated in 2 exhibitions, namely Edgeworthia Gardneri and The Sustainable Shop, which involved the creation of products with the Argali Paper produced by the Borong-Polok Paper Making Unit. 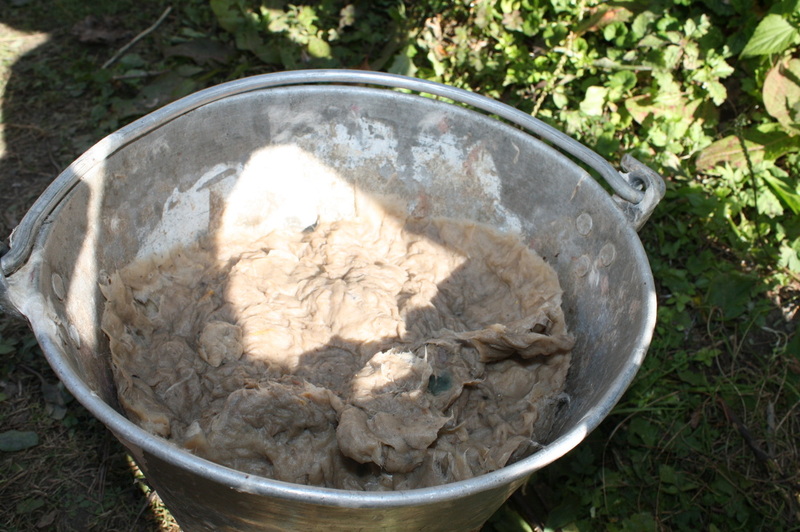 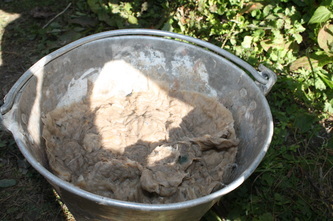 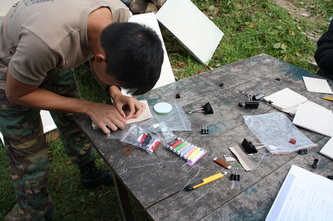 They were also heavily involved with conducting pre-trip research and experiments to aid the PMU. 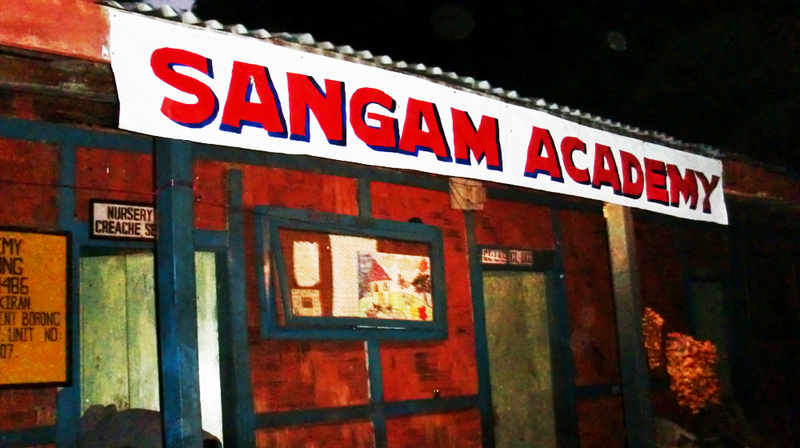 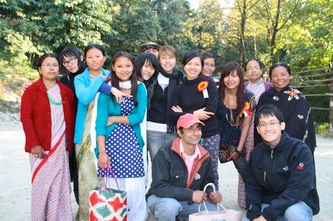 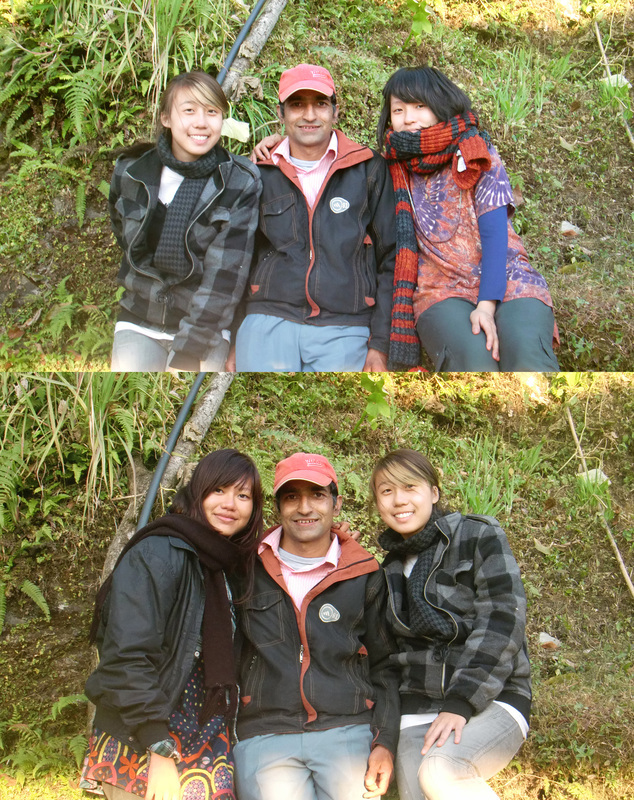 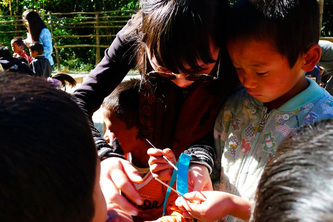 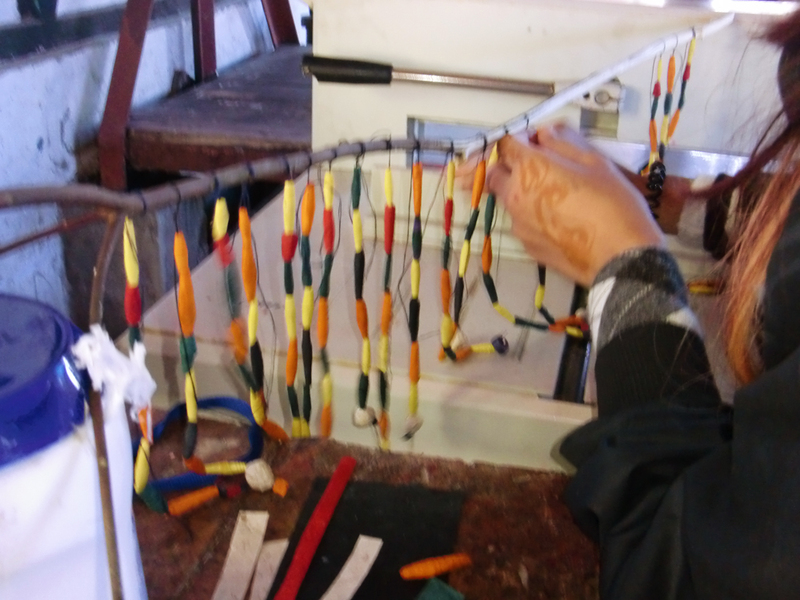 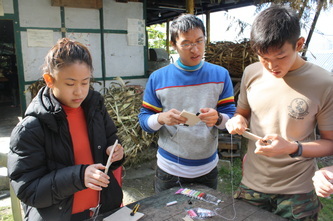 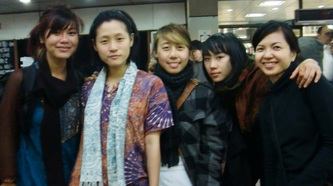 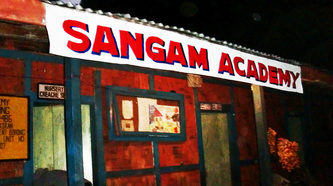 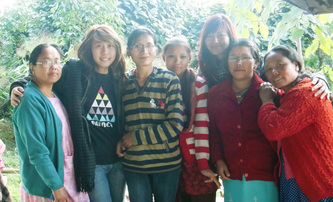 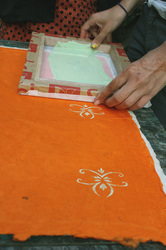 During the trip, they managed to conduct 5 main workshops at the PMU: Silkscreen Frame Building, Silkscreen Printing, Paper Pulp Bead Making, Paper Rolled Up Bead Making and Long Stitch Book Binding Workshops, and worked closely with Mr Jagan, the manager of the PMU with the development of designs. The PMU team aims to share more skills and ideas for new product development, as well as provide more equipment such as brushes and printing medium to aid areas such as printing designs, in the hopes that their products will be globally competitive and sellable at a premium rate. 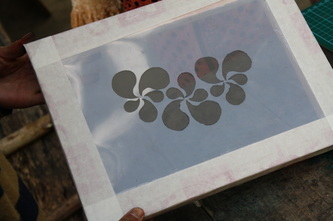 Silkscreens were made from scratch, and the wodden frames were distributed to the ladies working at the PMU, and were shown how to stretch their own screens using the mesh we brought over from Singapore. 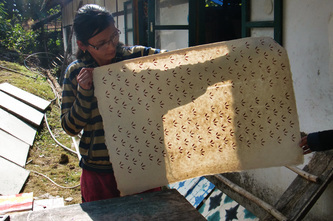 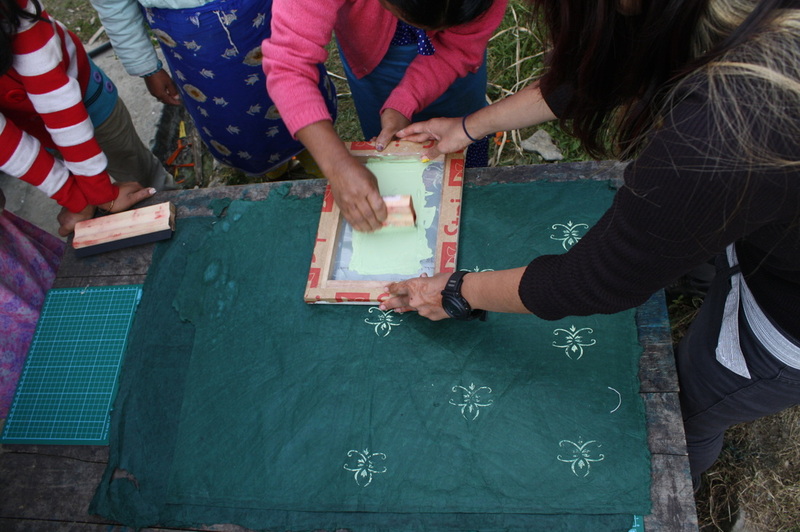 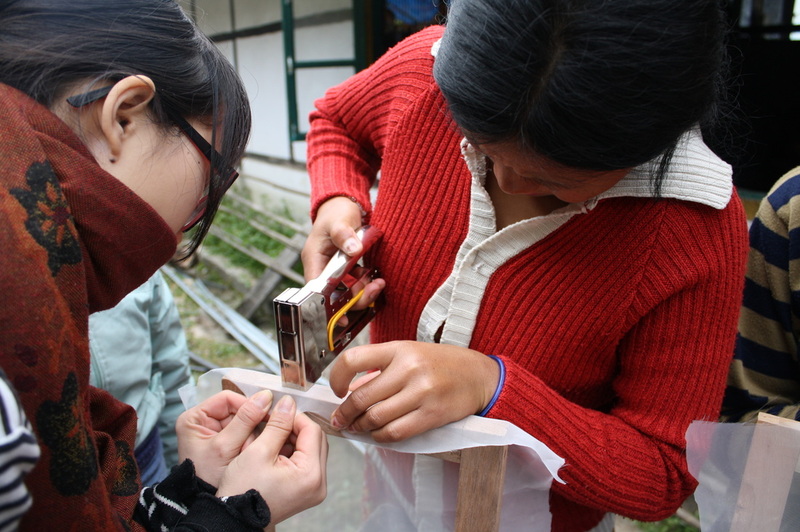 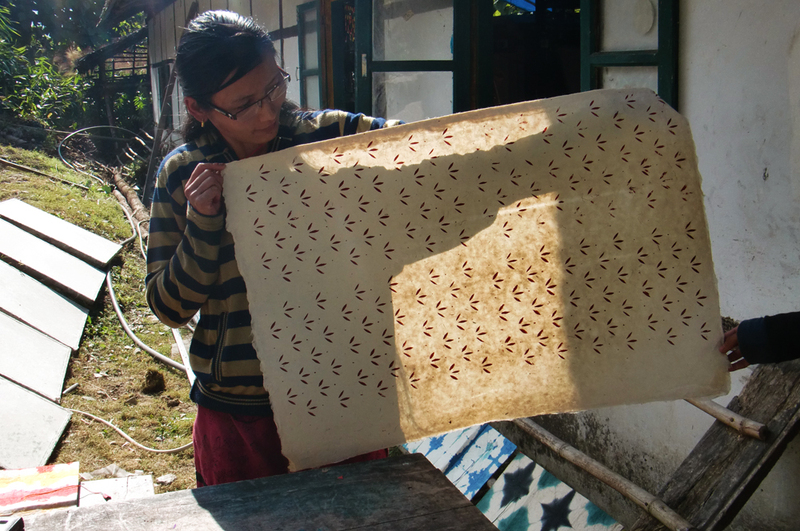 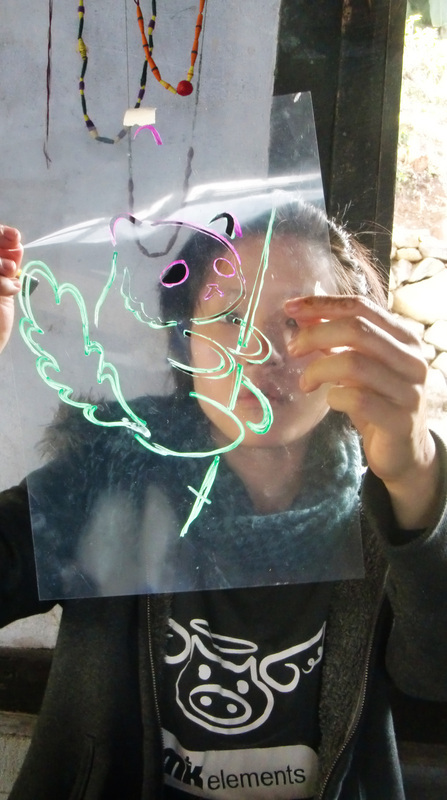 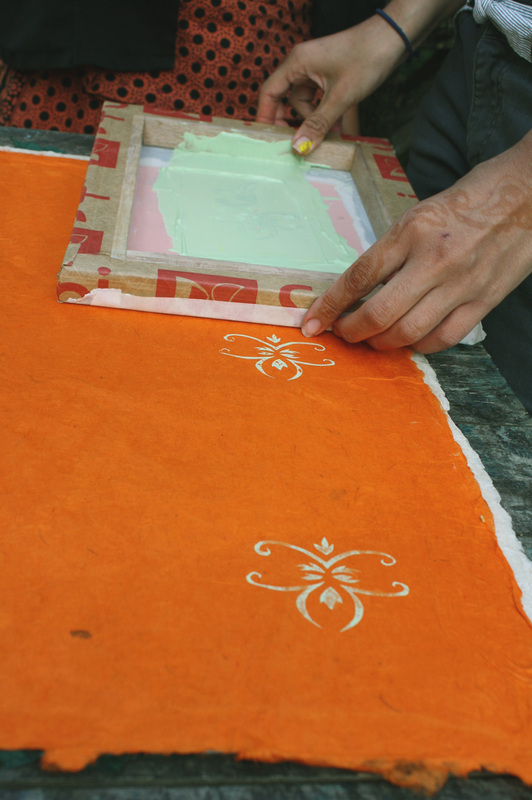 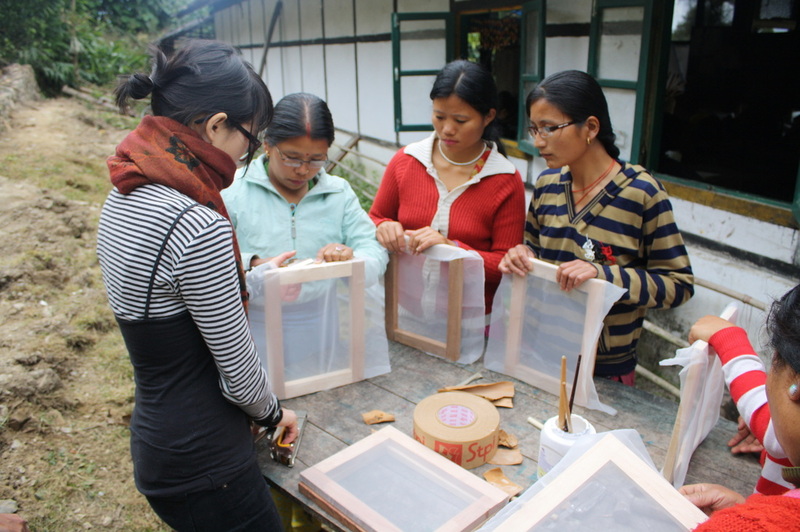 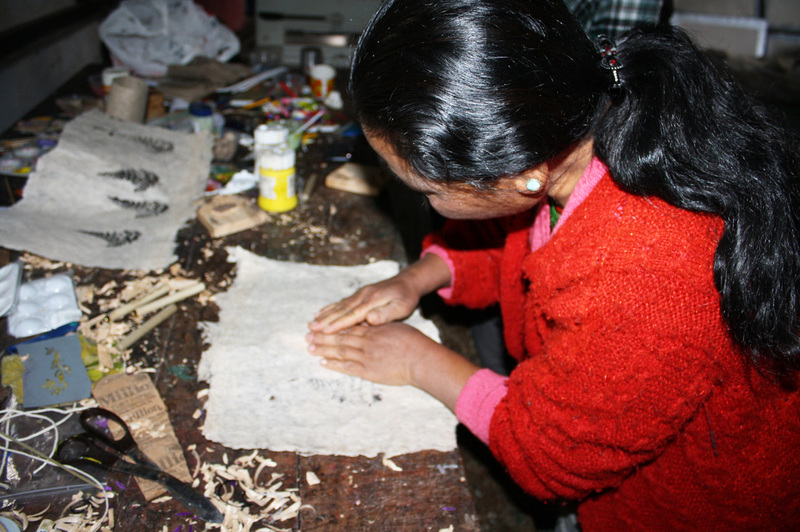 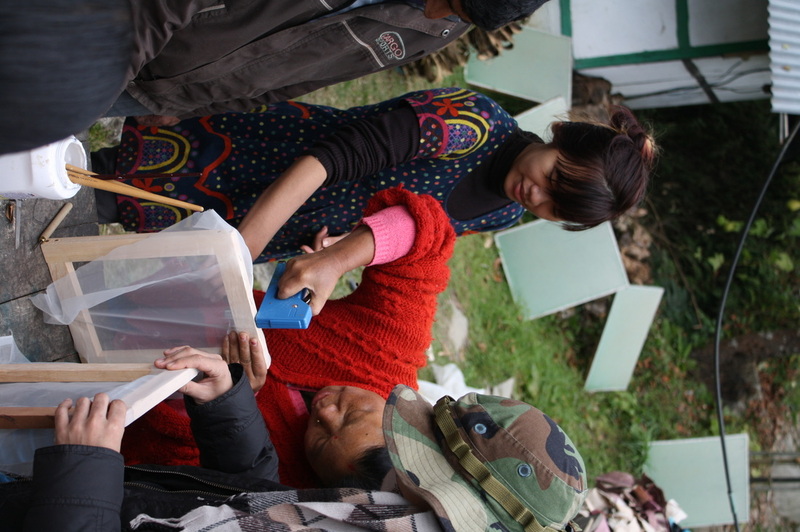 When the frames were done, the silkscreen printing workshop was conducted, showing the ladies how easy it was to cut their own designs on transparency, creating stencils for repeated patterns that could go on the Argali Paper, turning the raw handmade paper into decorative gift wrappers. 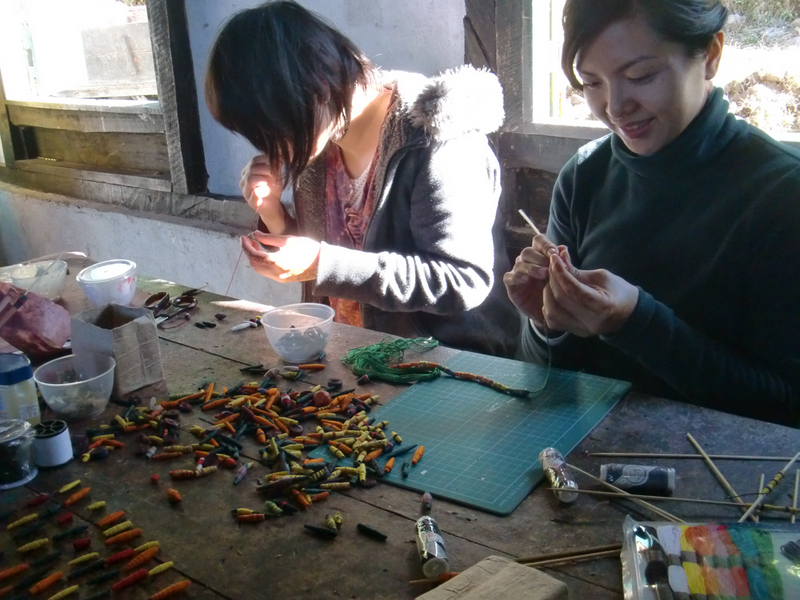 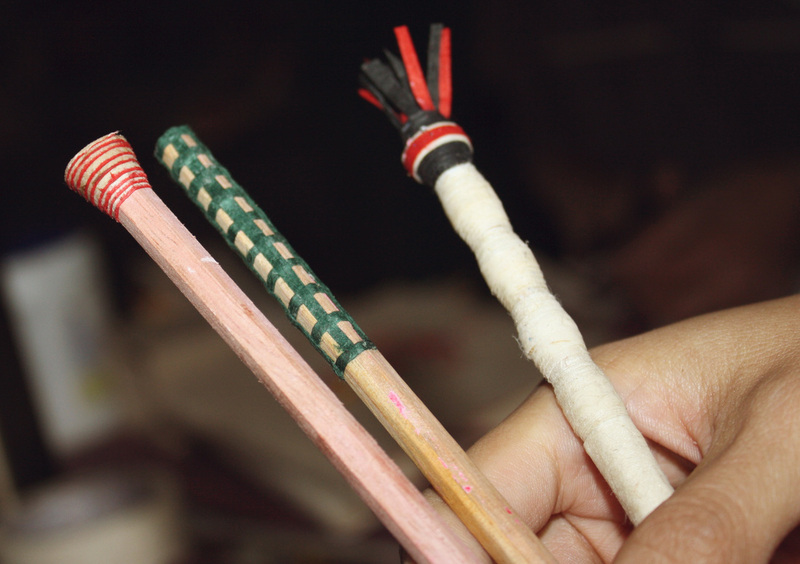 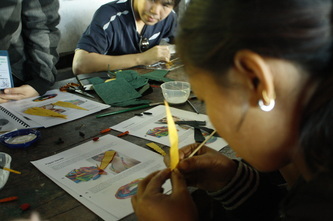 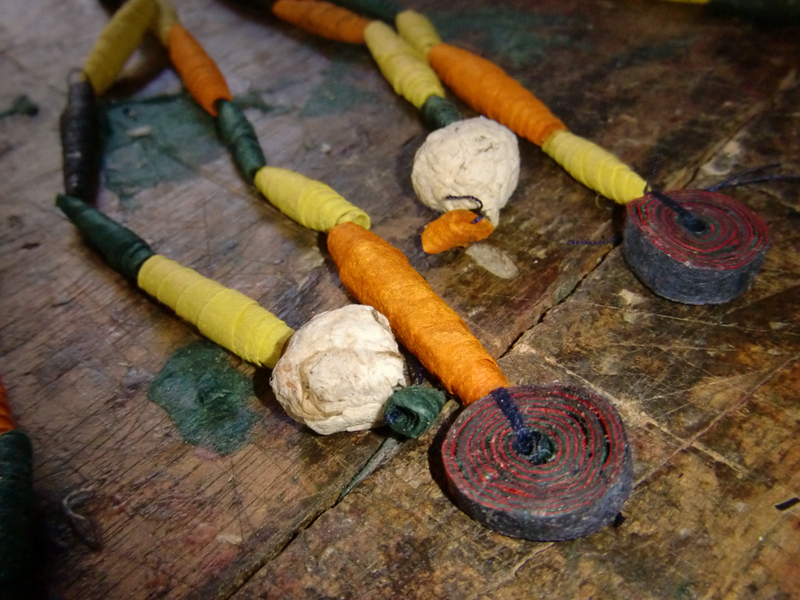 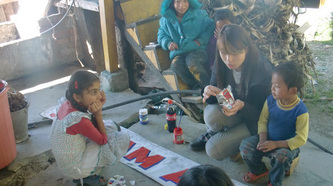 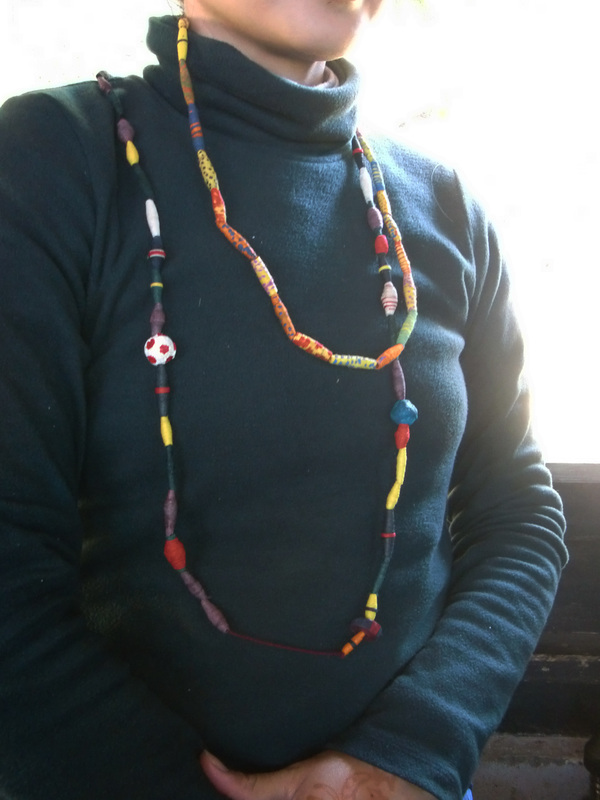 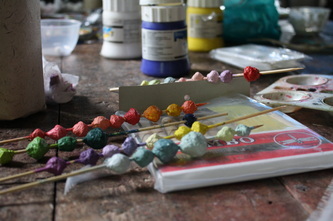 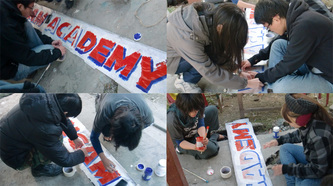 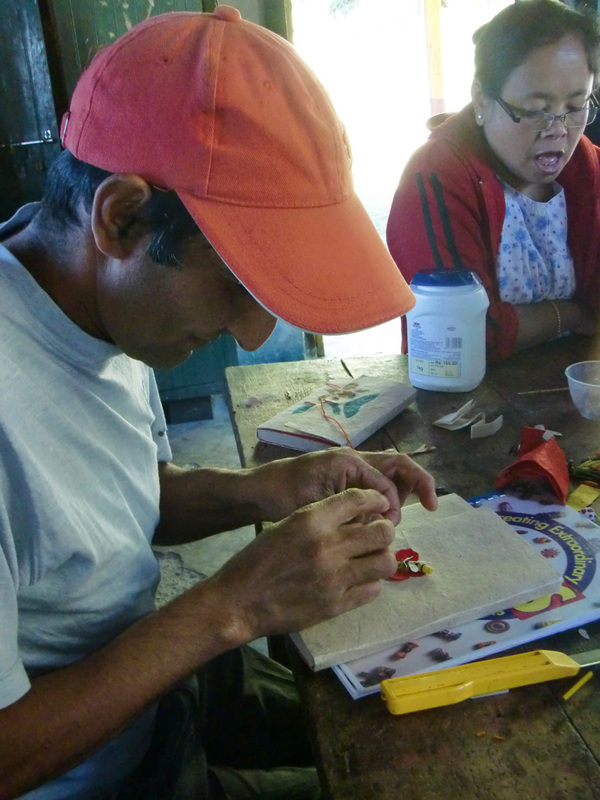 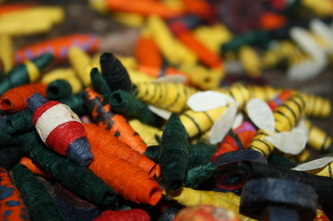 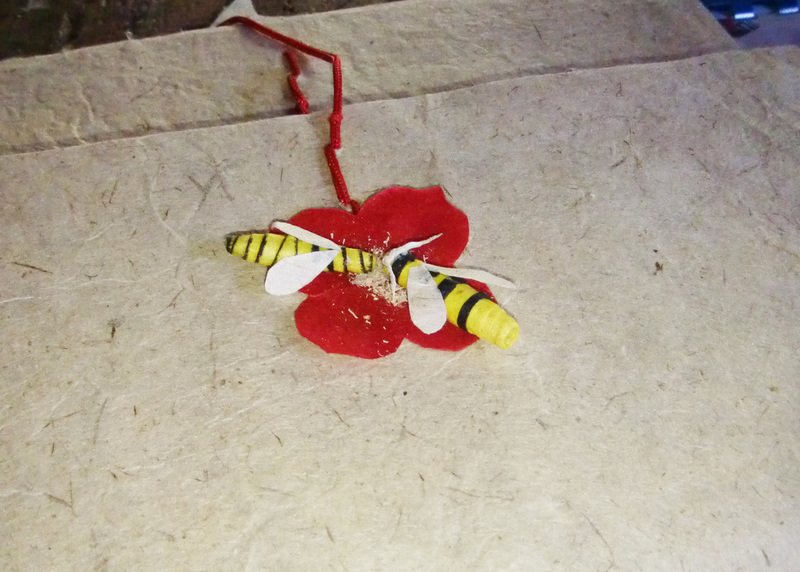 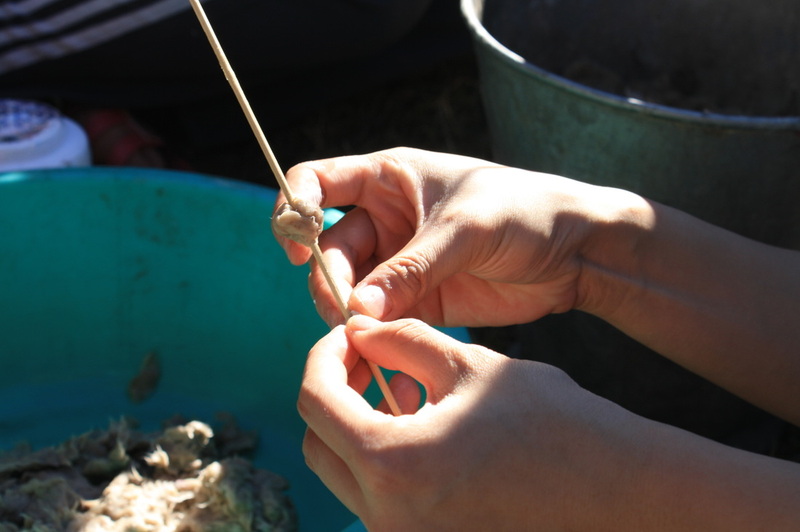 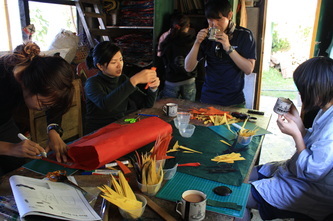 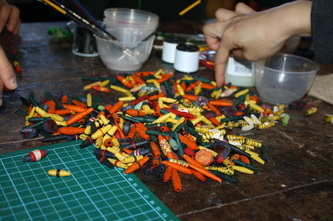 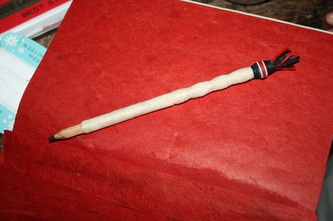 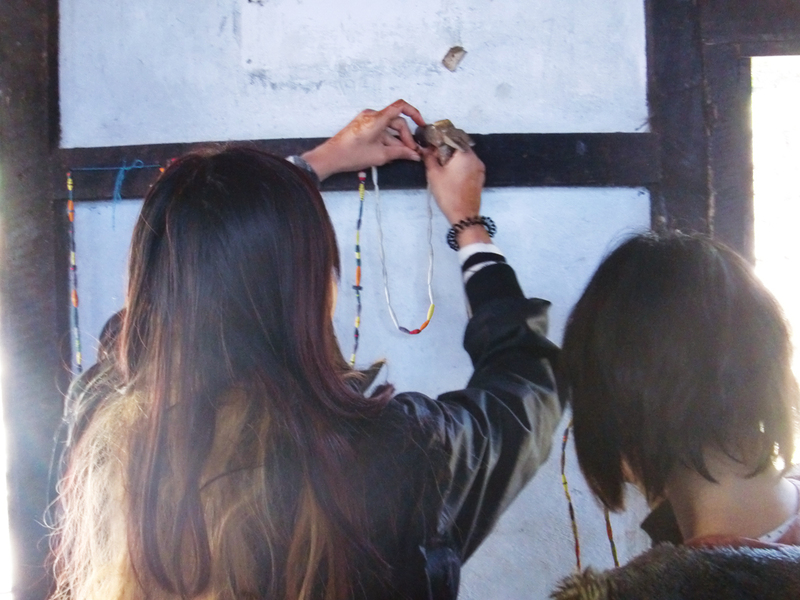 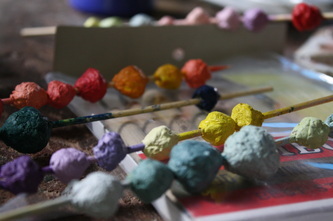 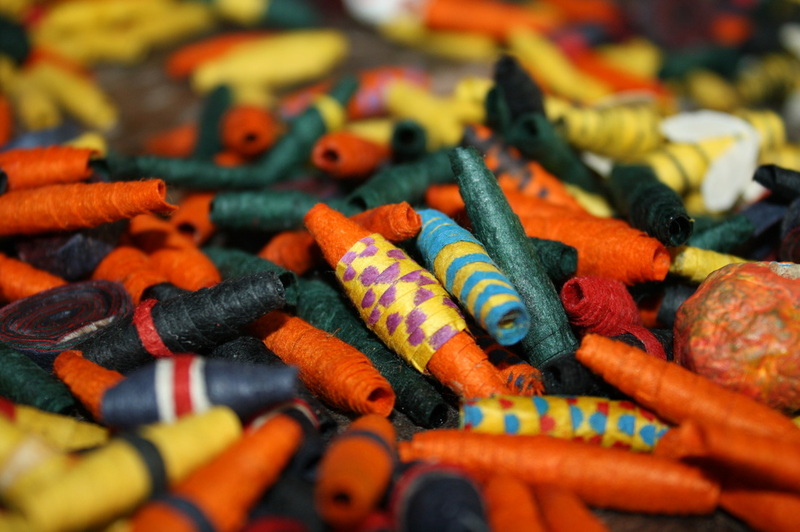 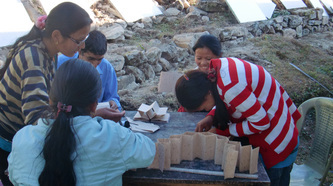 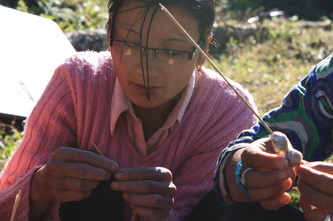 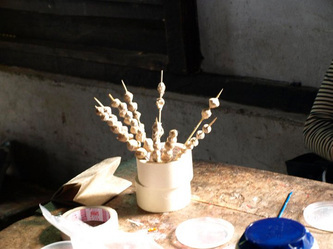 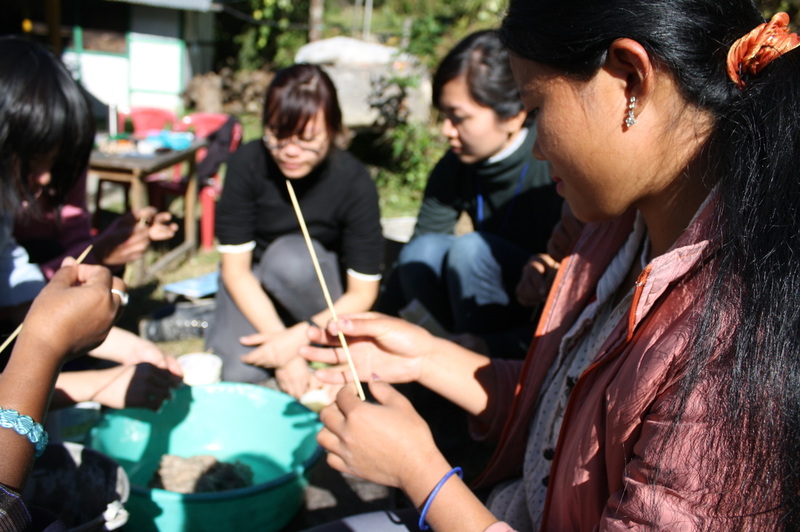 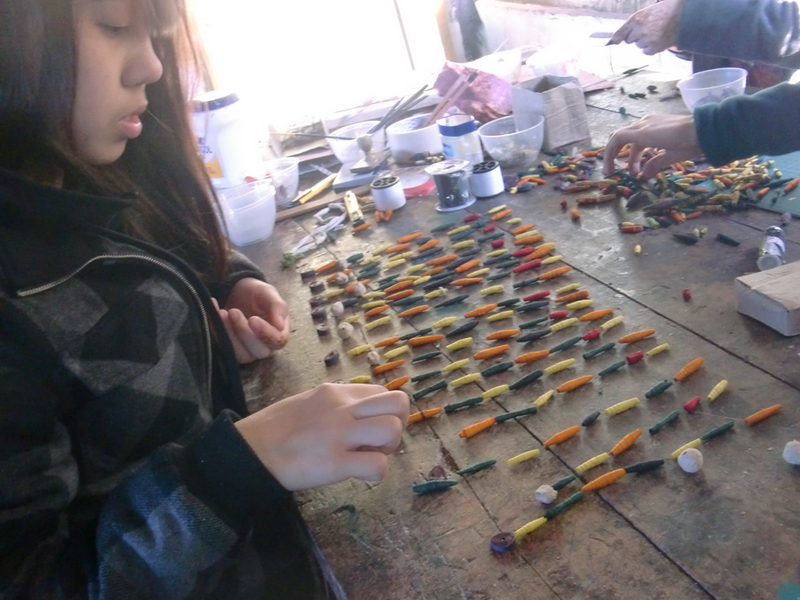 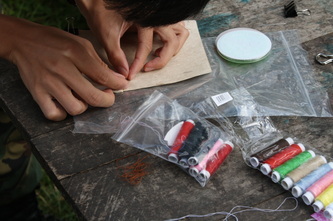 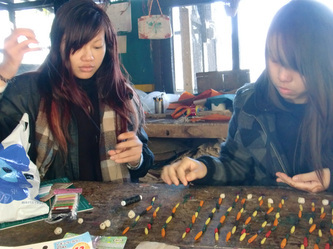 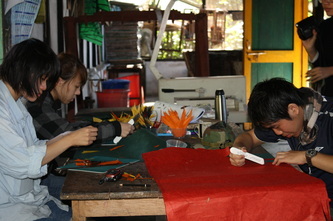 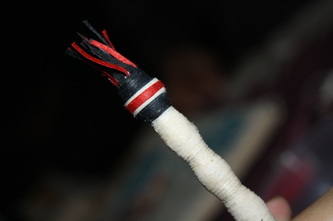 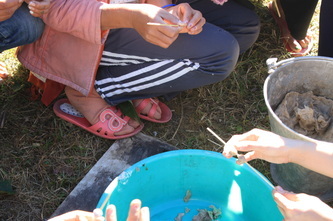 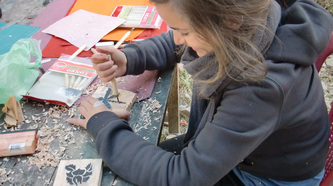 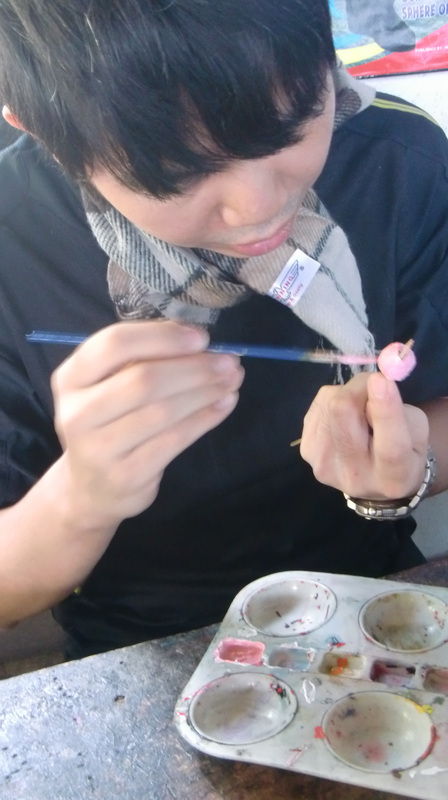 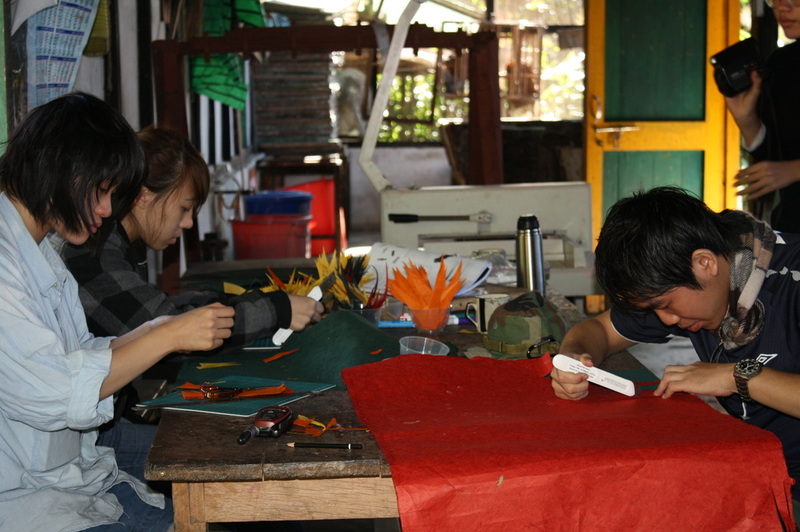 New ideas for more manageable products by the PMU were generated through the Paper Bead Workshops. 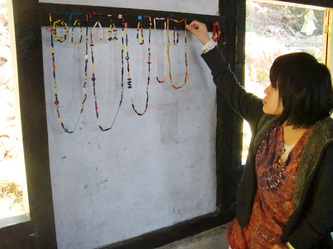 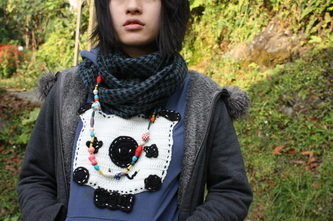 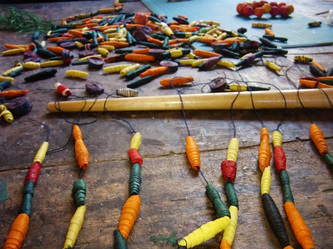 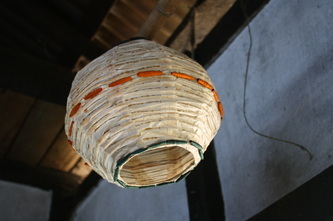 We created Jewellery, Journal fasteners, decor for lampshades and wooden pencils, as well as a beaded curtain as end products. Conducted on separate days, the Long- stitch book binding workshop was taught to strengthen the quality of the books made by the PMU, which are currently bound by the Perfect Binding method(glued spine), and the Accordion-Fold Book Binding Workshop was conducted to enhance the design of the blank books. 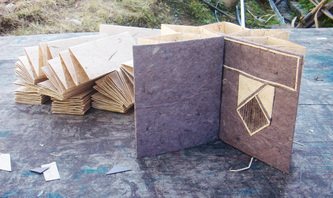 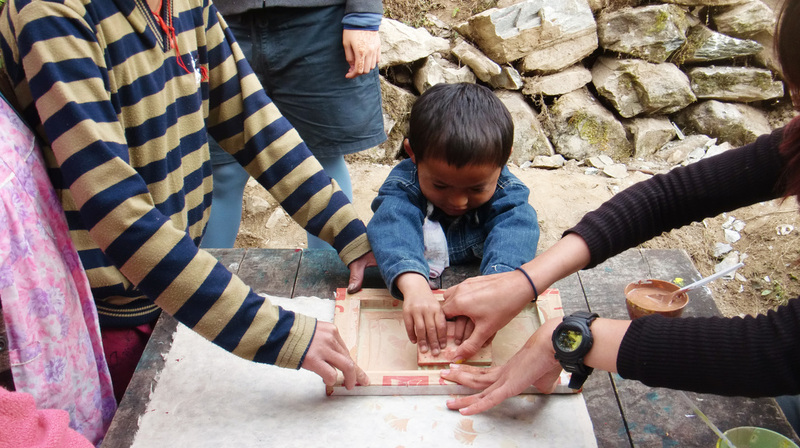 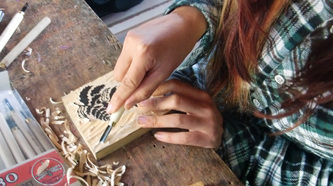 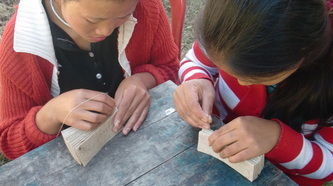 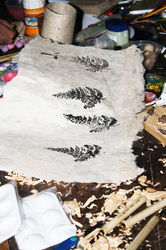 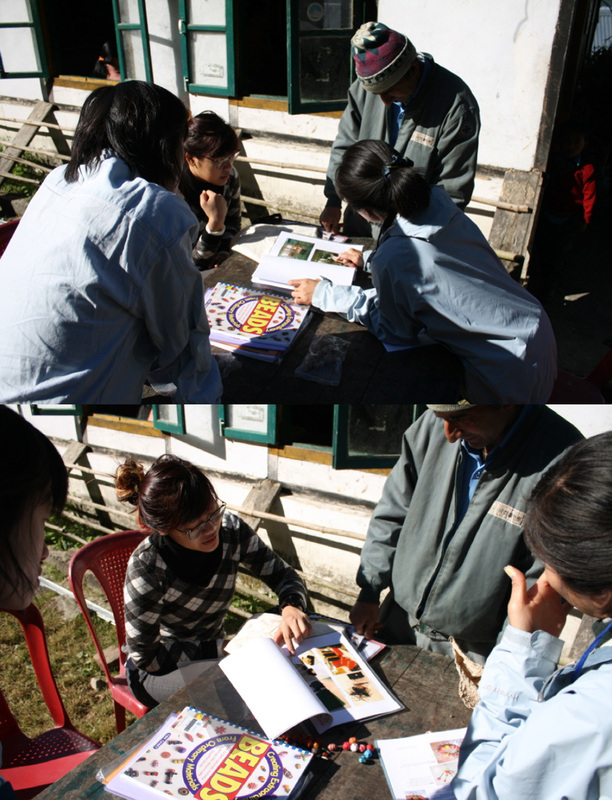 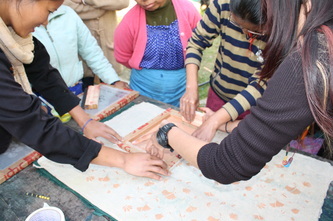 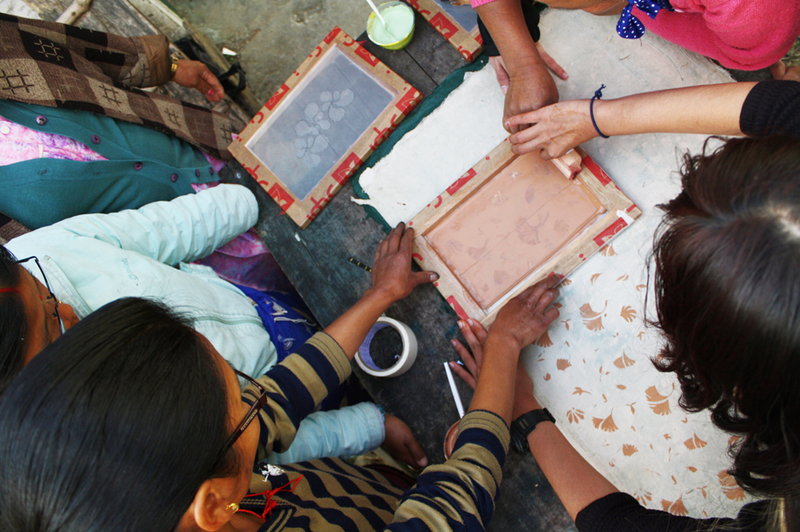 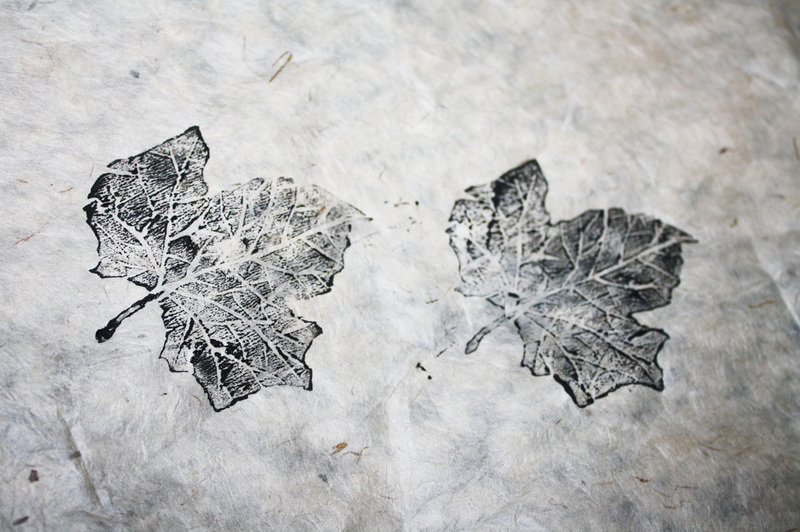 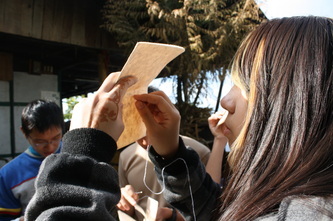 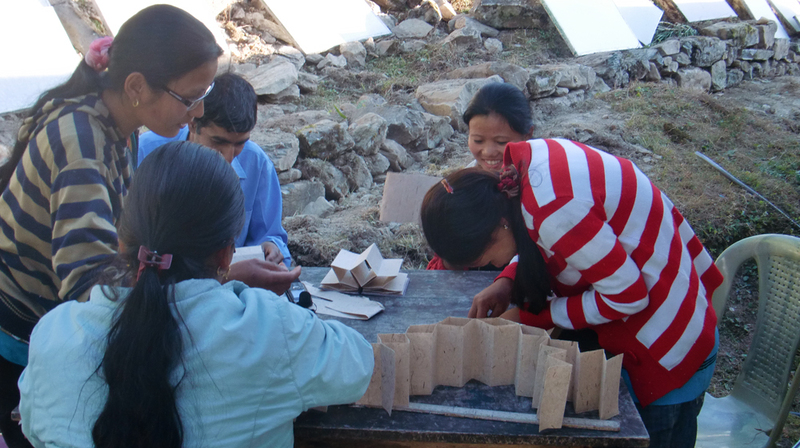 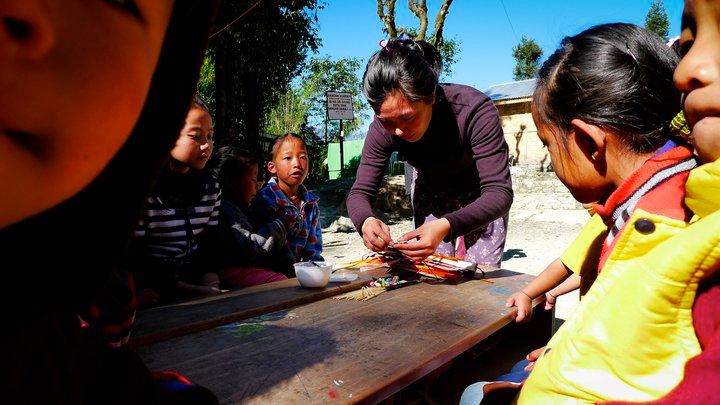 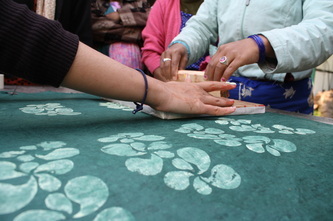 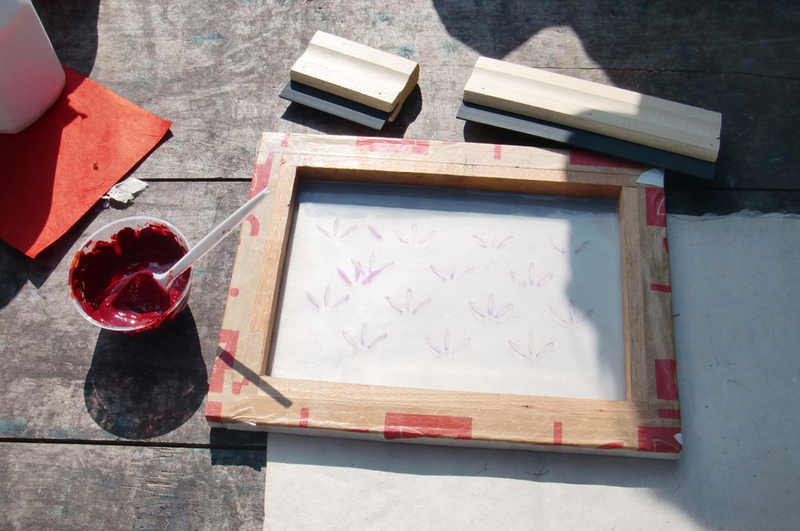 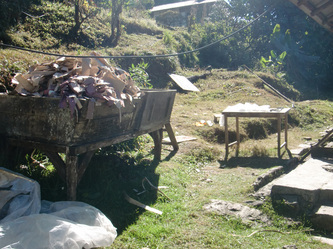 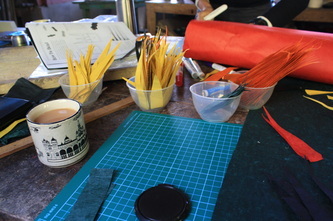 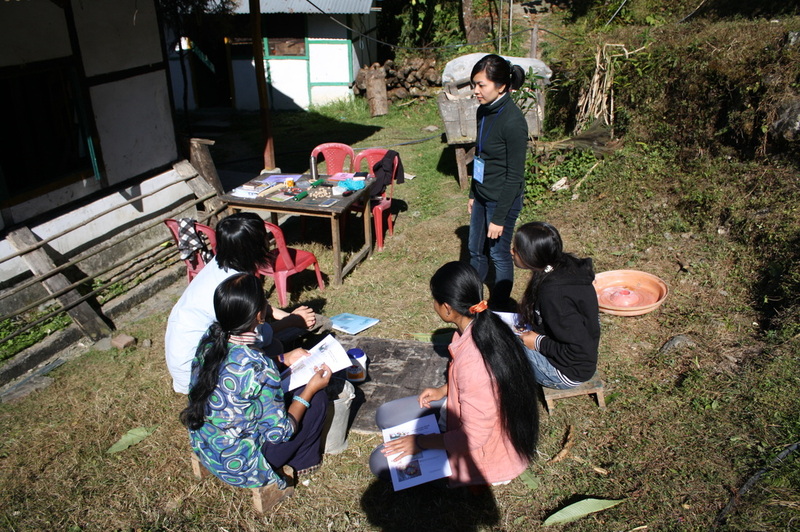 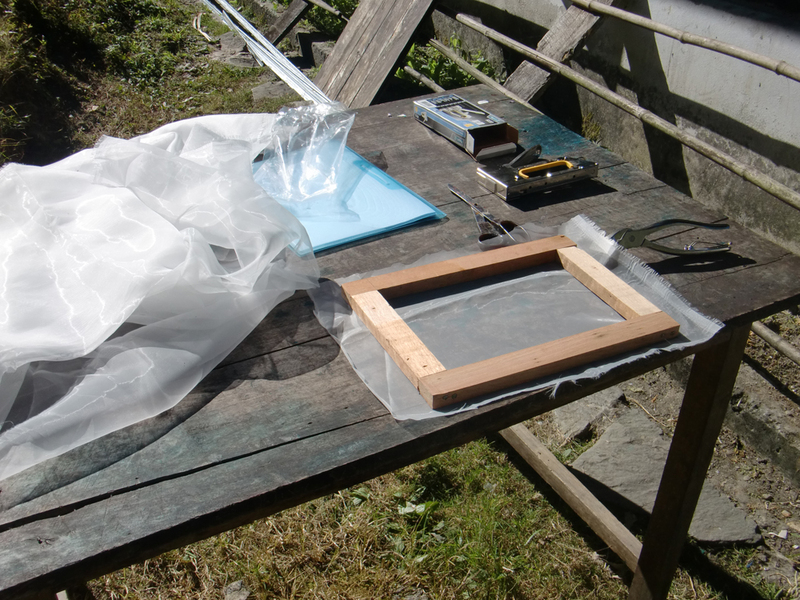 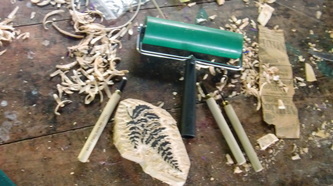 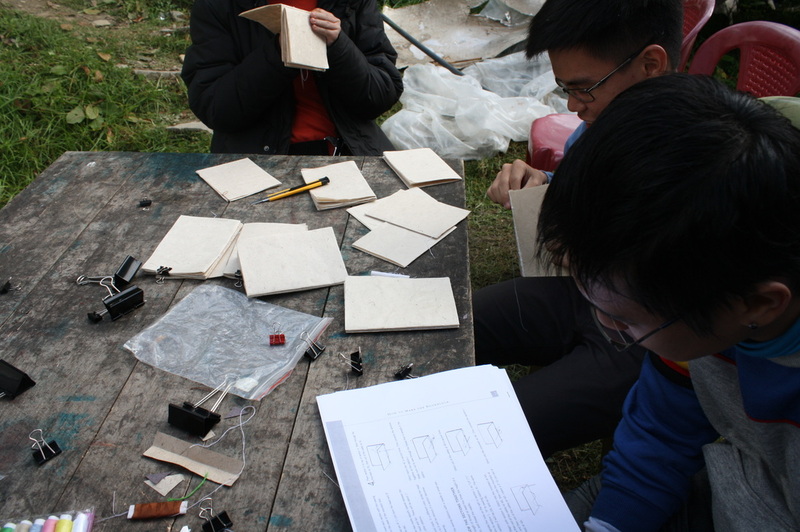 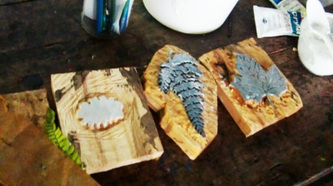 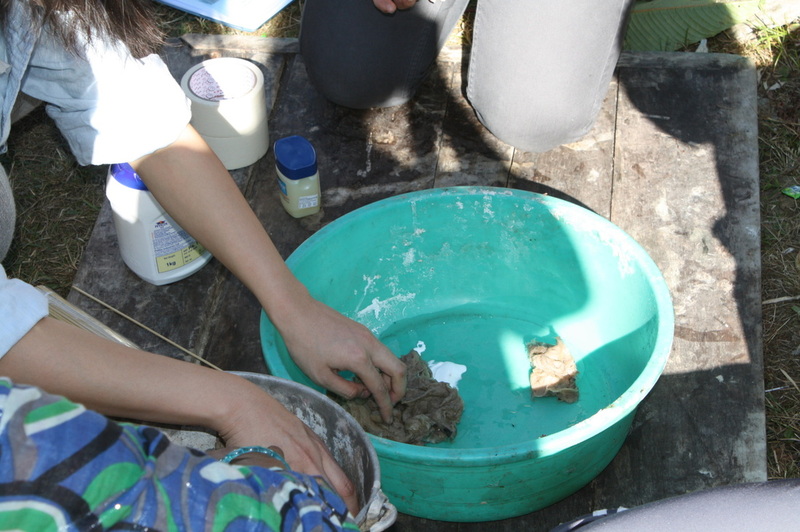 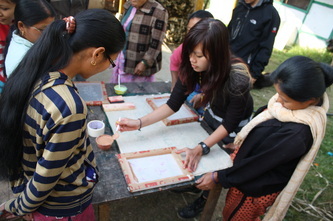 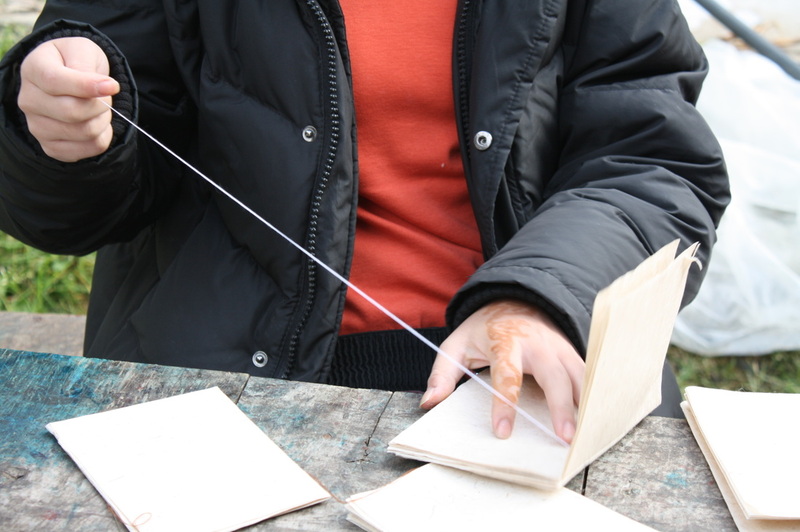 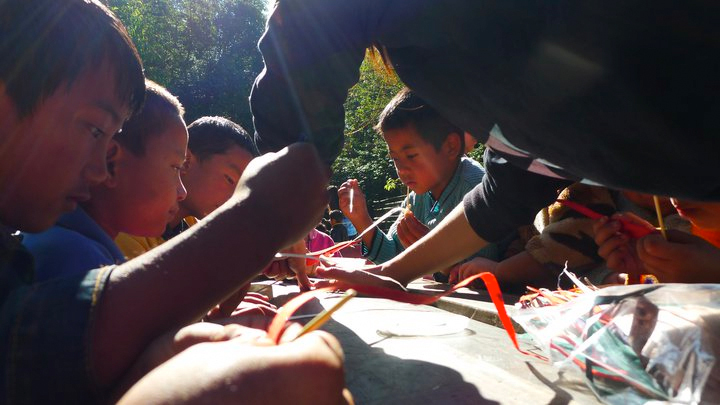 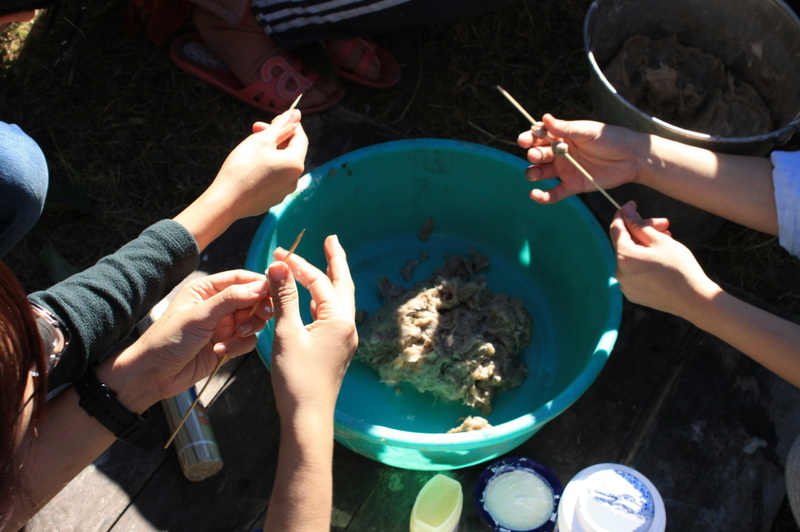 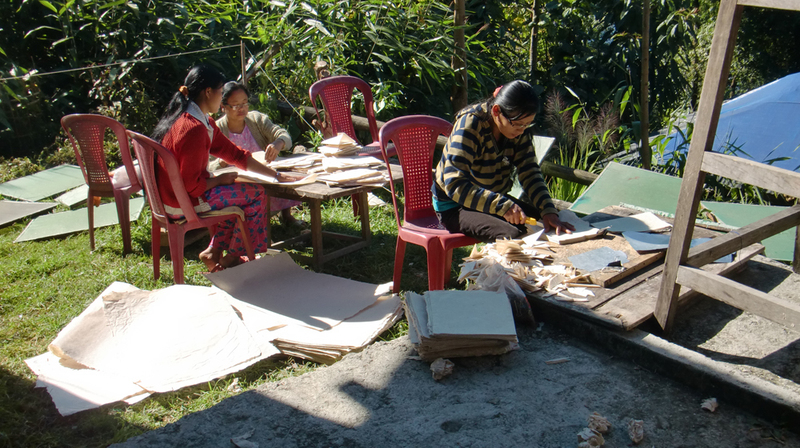 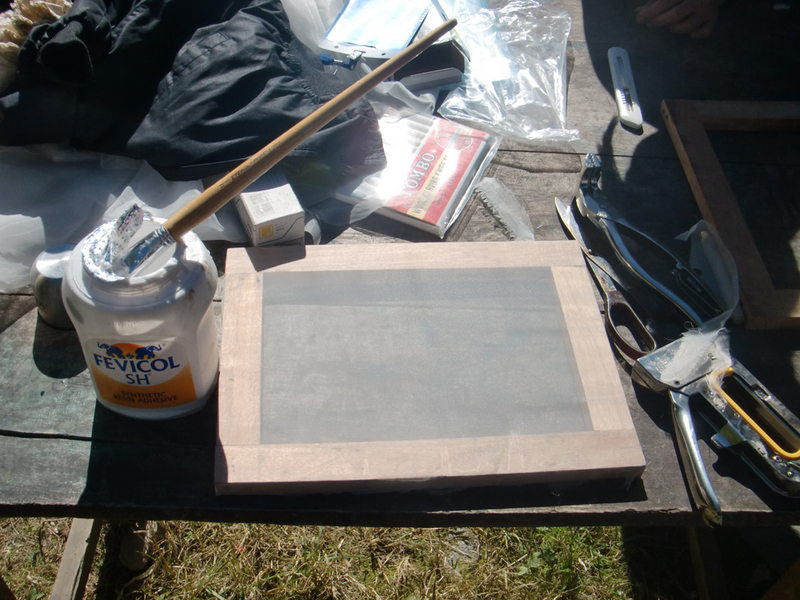 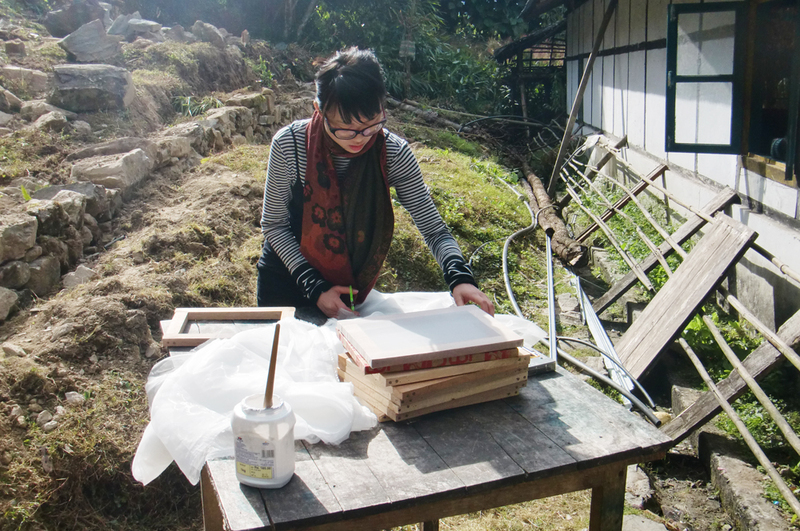 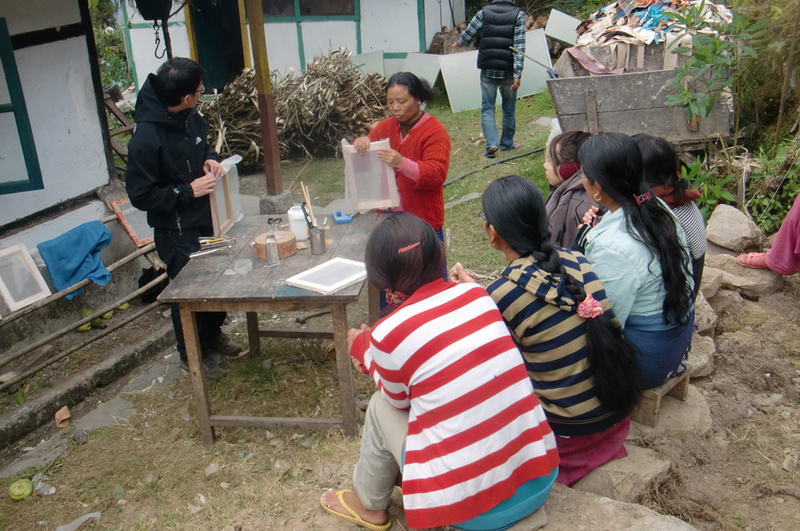 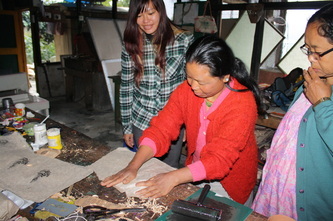 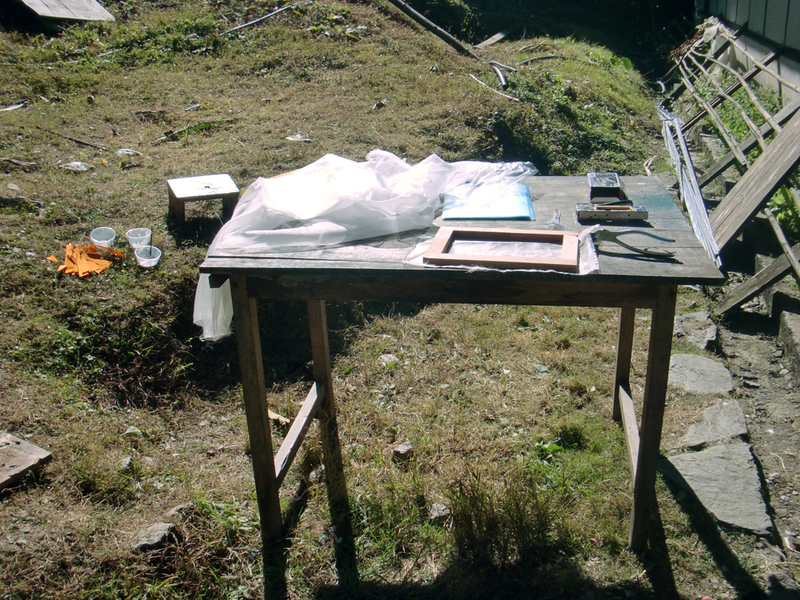 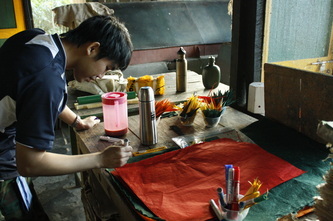 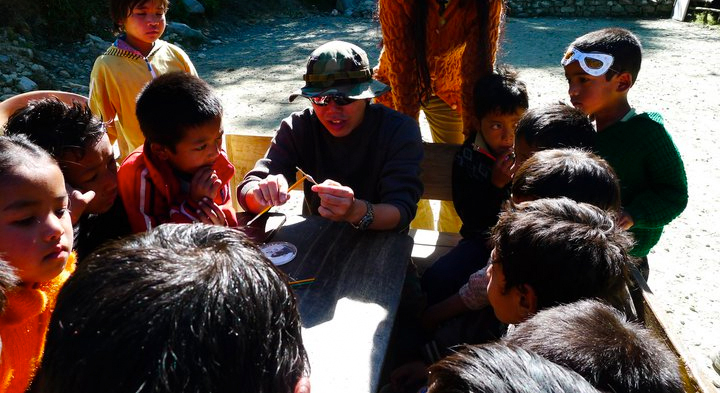 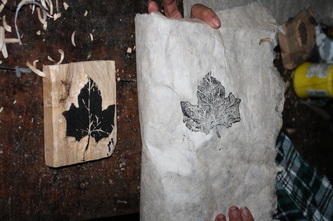 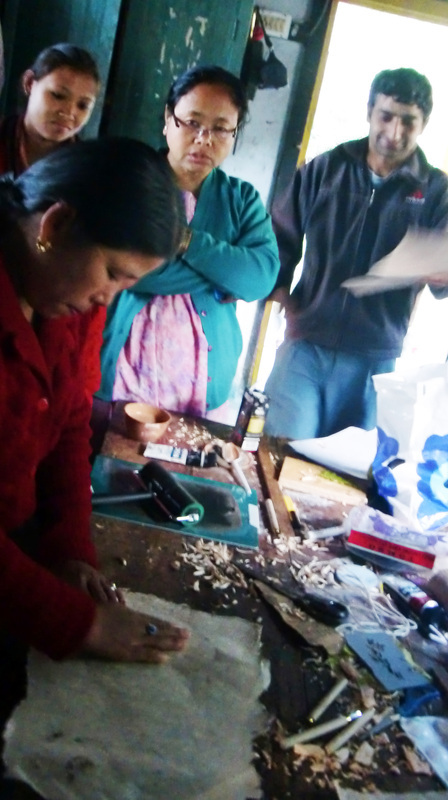 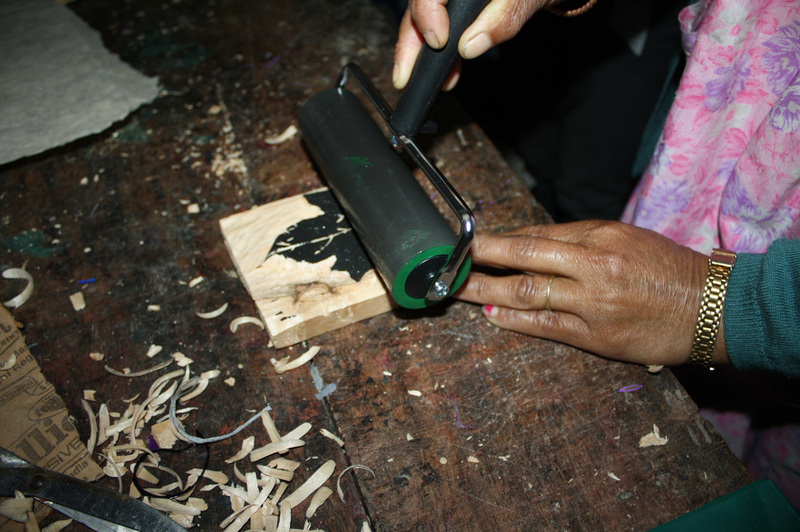 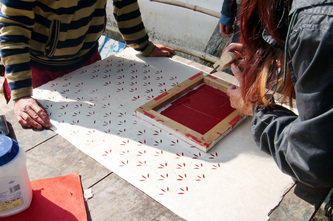 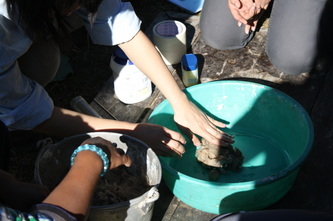 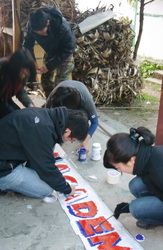 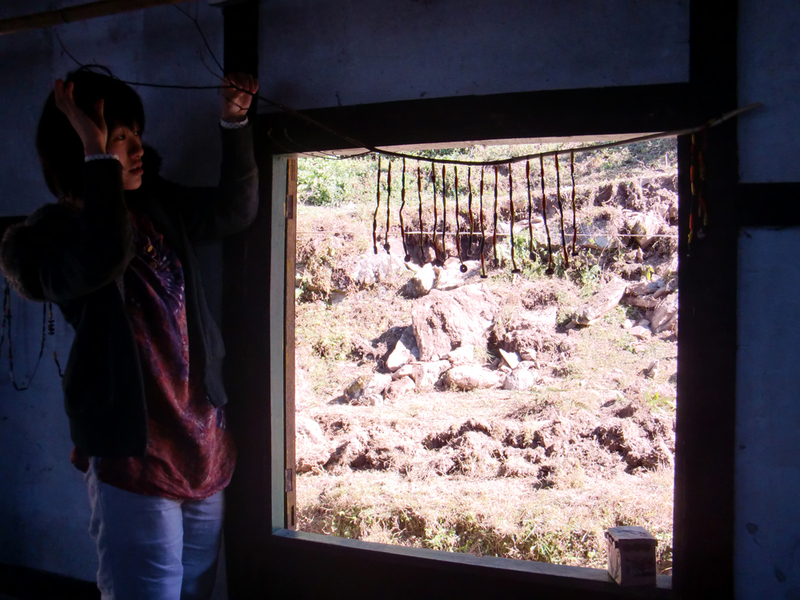 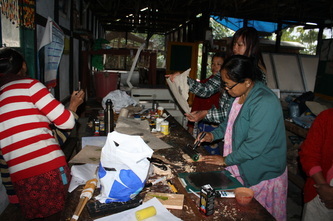 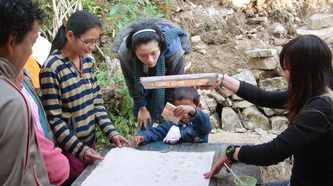 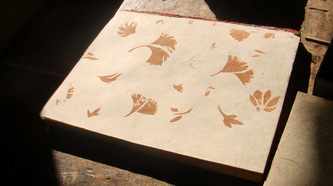 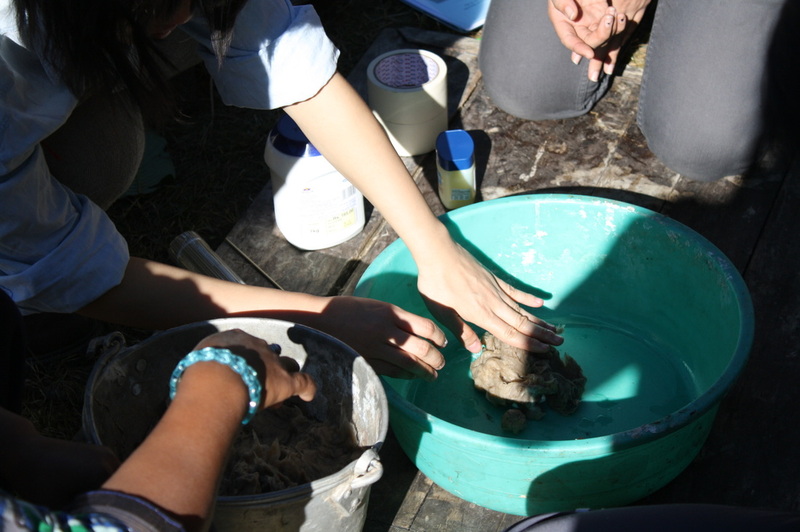 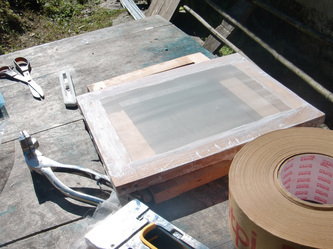 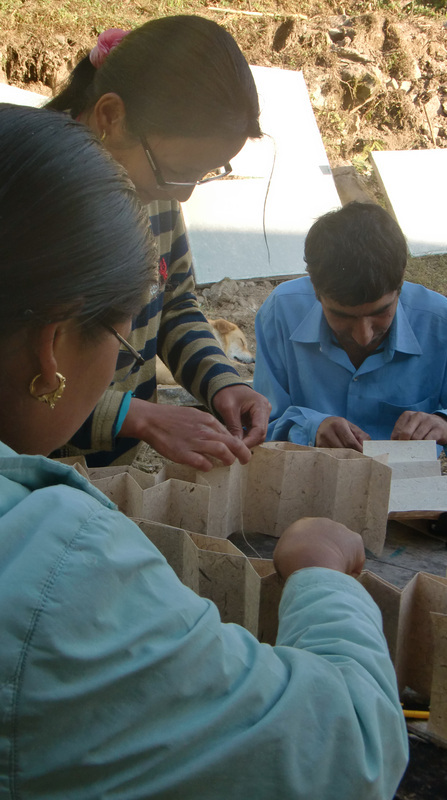 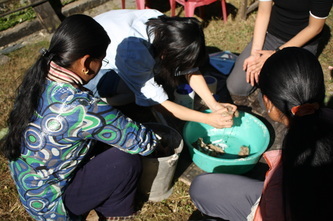 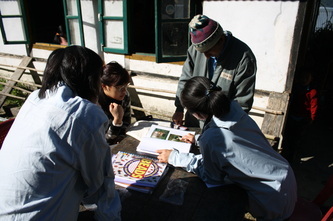 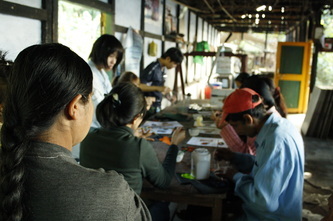 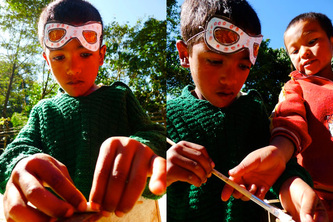 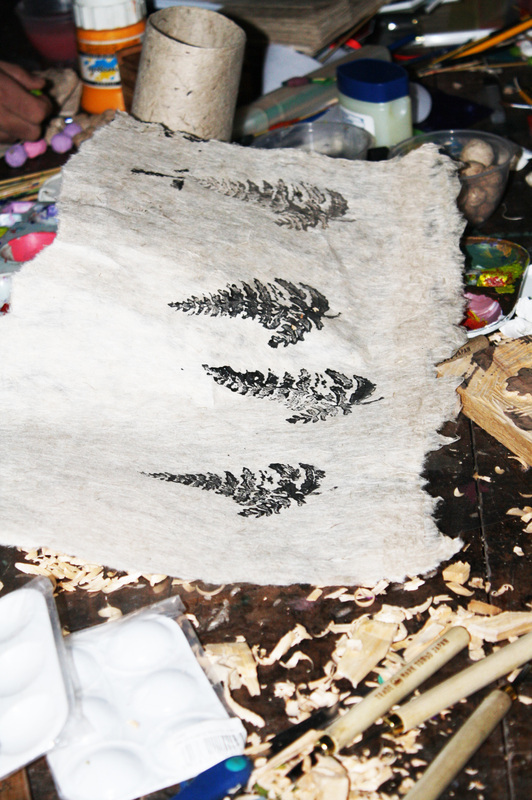 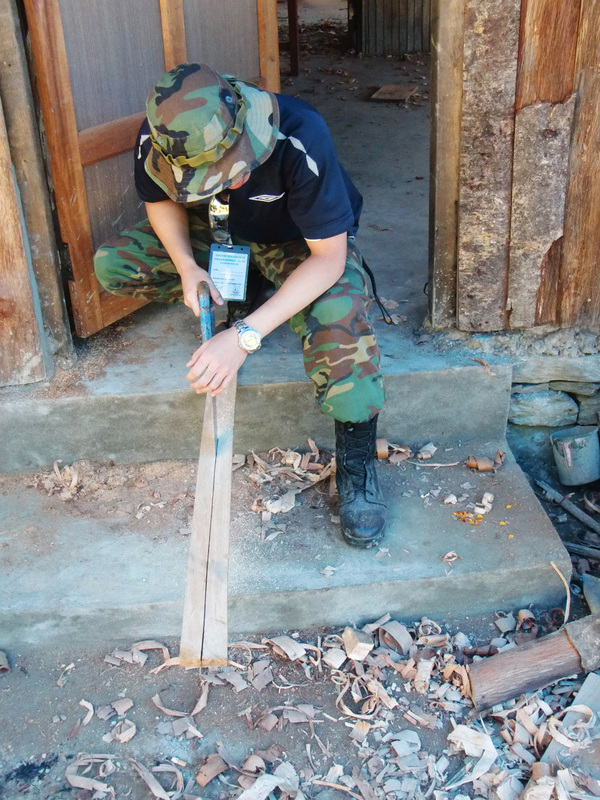 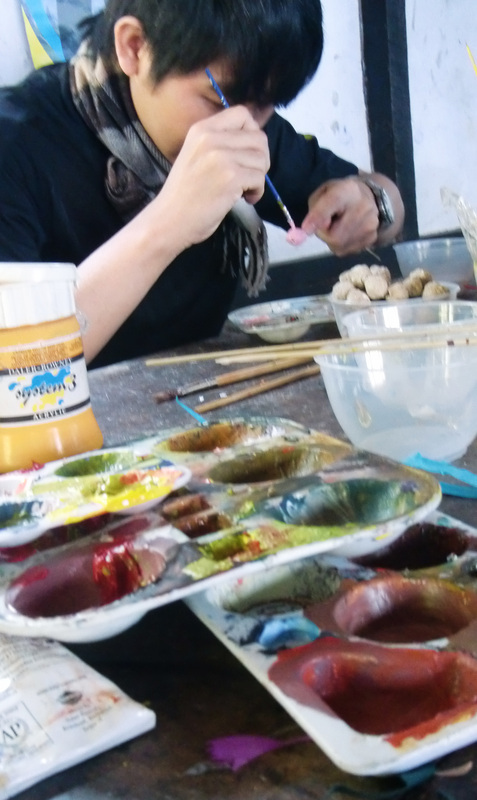 Spontaneous workshops were also conducted on top of the 5 main workshop, such as the Wood Block Printing Workshop, as alternative methods to printing on the Argali Paper. 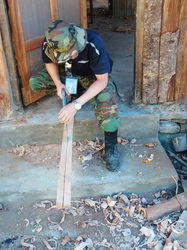 Wood Carving on found woodblocks were created by the PMU team, the woodblock printing was then taught to the ladies working at the PMU.